There are many reasons why Brittany is one of our favourite camping destinations. 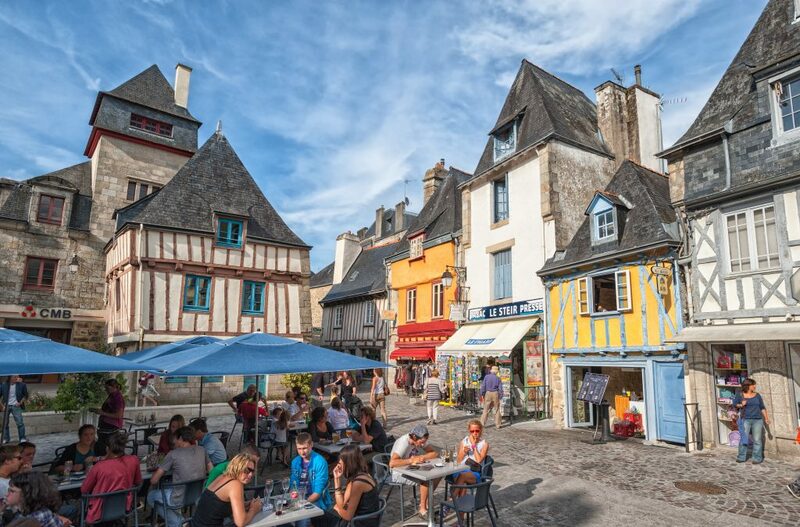 There’s so much to see; from stunning beaches along the coast to fascinating medieval cities, Brittany is the ideal destination for adventurous families. It is a region that holidaymakers visit again and again – as there is always something new to discover. We’ve written about just a handful of our highlights of the region, but we’d love to hear what your favourite things to see and do in Brittany are. France is well known for its walking paths called Grandes Randonnées (GR) and Brittany has more trails than any other region in the country. The GR34, Sentier des Douaniers, is a 360 mile stretch of walking path along the stunning coastline of Brittany and the best way to see the sights. While not many commit to hiking the entire 360 miles, the path is very easy to walk and you can easily dip in for a day of exploring. 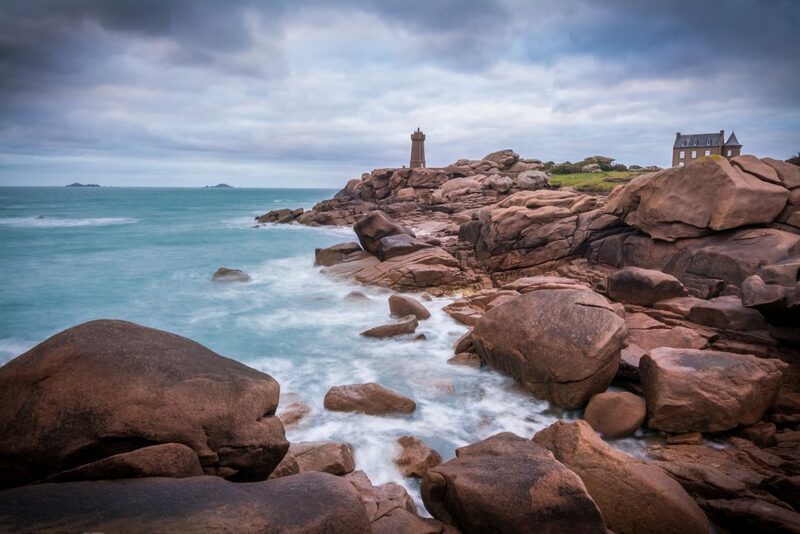 The Pink Granite Coast at Ploumanach, named after the unique colour of its rocks, is just over an hour and a half drive from Camping Pins. This is one stunning view you won’t soon forget. Its weather-beaten rocks have formed into some of the most unique formations you’re likely to see. The kids will have lots of fun spotting the rabbit, the witch and even Napolean’s hat. 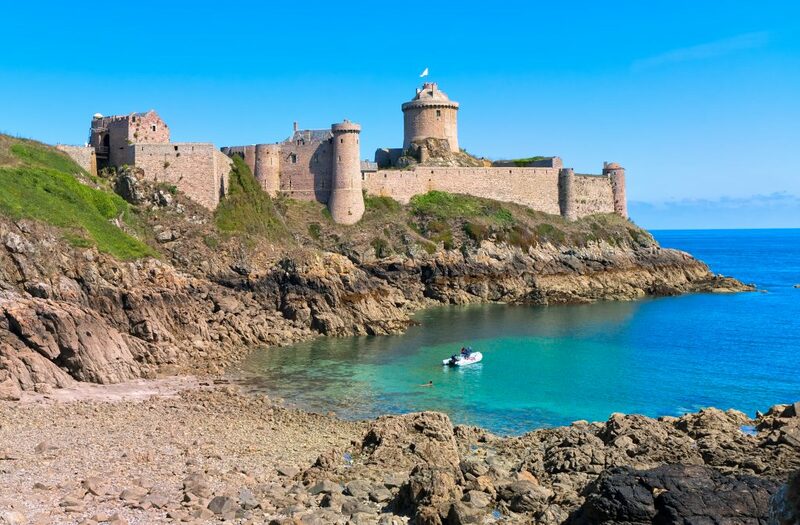 The impressive castle Fort-la-Latte can be found along the GR34 about 4km southeast of Cap Fréhel. The 1958 film The Vikings was shot at this very monument and is a mere 20 minute drive from our Camping le Chatelet. 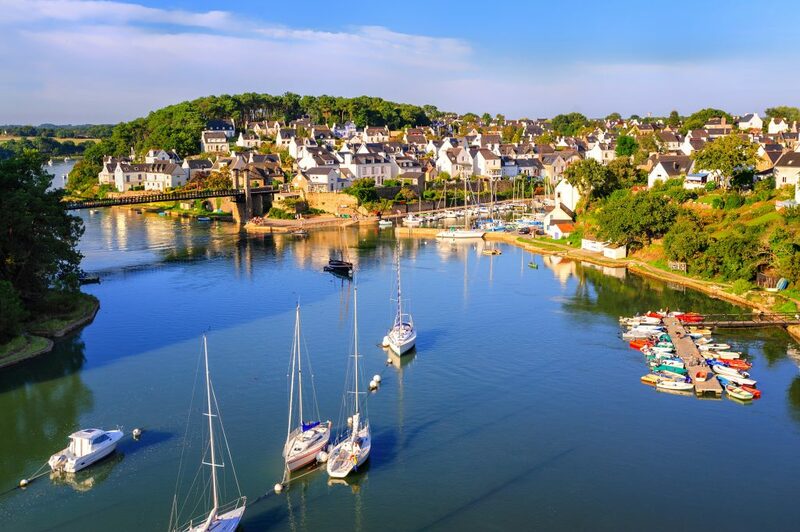 Brittany was once proudly independent and closely connected to Britain, giving it the nickname ‘petite Bretagne’. For this reason, the region holds many pan-Celtic traditions which they celebrate in the form of cultural festivals. The Festival Interceltique de Lorient has been held since 1971, drawing crowds of over 700,000 people from all over the world and is a celebration of Brittany’s Celtic history through dance and music. Our closest campsite to Lorient is Camping les Deux Fontaines. Lorient is not the only area in Brittany to hold Celtic festivals, you’ll also find the Festival le Cornouaille in Quimper. For one week, Quimper’s historic town centre comes to life with Celtic celebrations including bagpipe players, bell-ringers and dancers dressed in traditional Breton costumes. Quimper is ideal for a day trip if you’re staying at our campsite Port de Plaisance, just a 20 minute drive away. 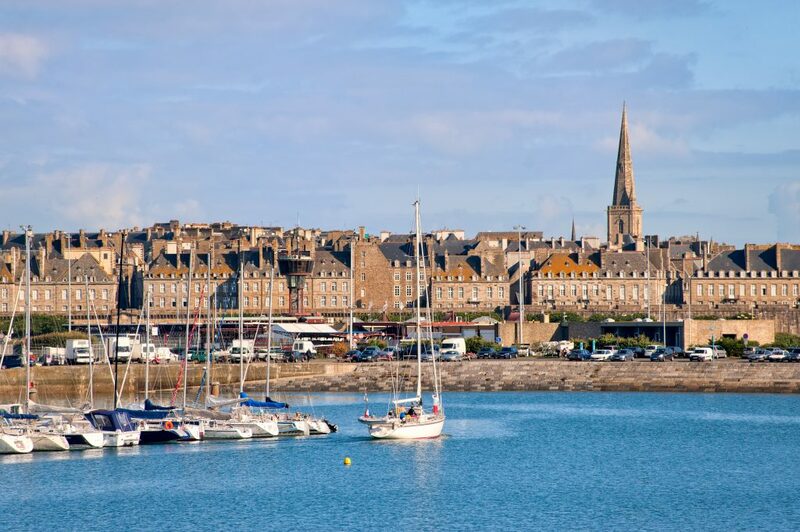 As one of Brittany’s port towns, Saint-Malo is often the start and end point of a holiday, but it shouldn’t be overlooked as there is plenty to see here. The citadel, known as the Old Town or Intra-Muros (which derives from the fact that the town is walled in) was original built on a rocky island and is now connected to the mainland by a harbour. Saint-Malo is conveniently located just 50km east of Mont St-Michel a popular tourist destination in the neighbouring region of Normandy. Camping le Château de Galinée is set in the rural outskirts of this port town, just 17 miles away. 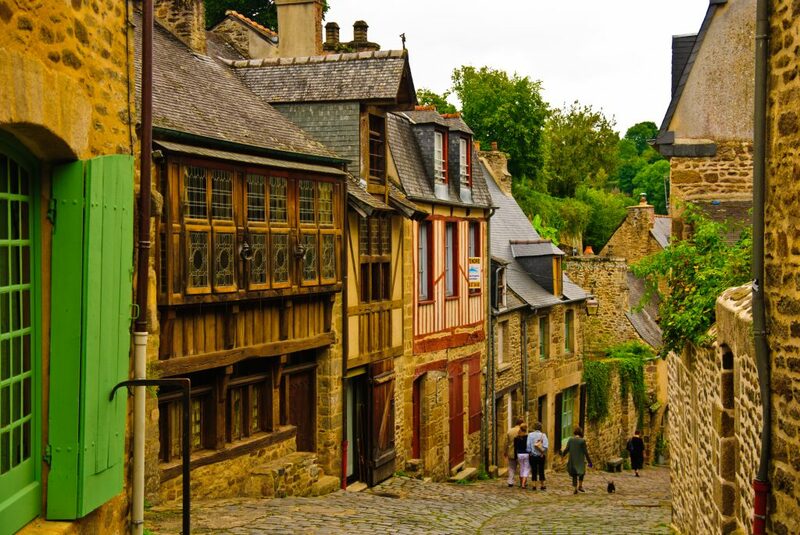 The charming riverside town of Dinan is brimming with medieval history and stunning architecture. The Chateau de Dinan is a stunning 13th Century castle turned into a museum dedicated to the town’s history and its famous hero Bertrand du Guesclin, a famed Breton Knight who became a military commander during the Hundred Years’ War. In July, the town hosts the Fete des Remparts that recreates medieval times with street celebrations, costumes and even a jousting tournament. Our five star campsite Domaine des Ormes is just a 30 minute drive from Dinan. 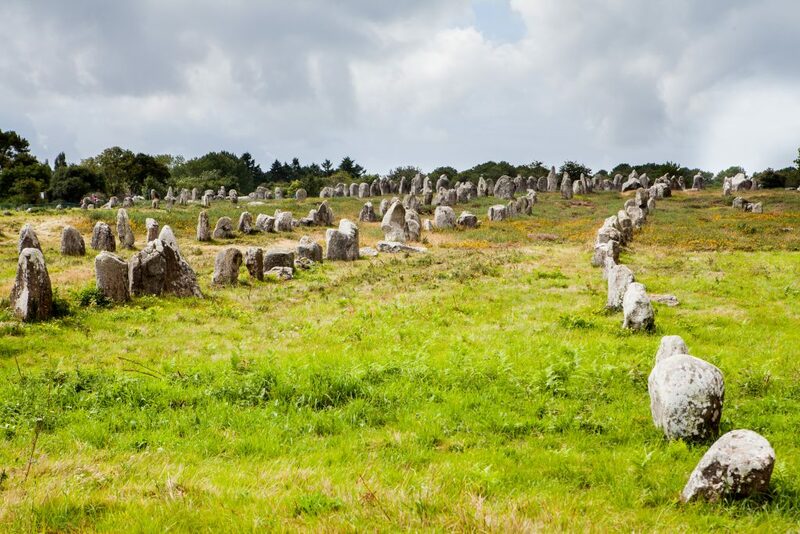 Carnac is most famous for its unique rows of ancient standing stones, which are one of its greatest attractions. The stones have been around since 4000BC, while people speculate they were erected for a religious or cultural reason, their true significance is pretty unknown. The sandy beaches of Carnac-Plage are popular with families as it is supervised during the summer and hosts children’s clubs. Carnac is also famed for its oyster farming, and is where you’ll find the freshest oysters. A Canvas favourite, la Grande Métairie is located within the Carnac region. Of course one of the most important reasons to visit Brittany this summer is the incredible food. 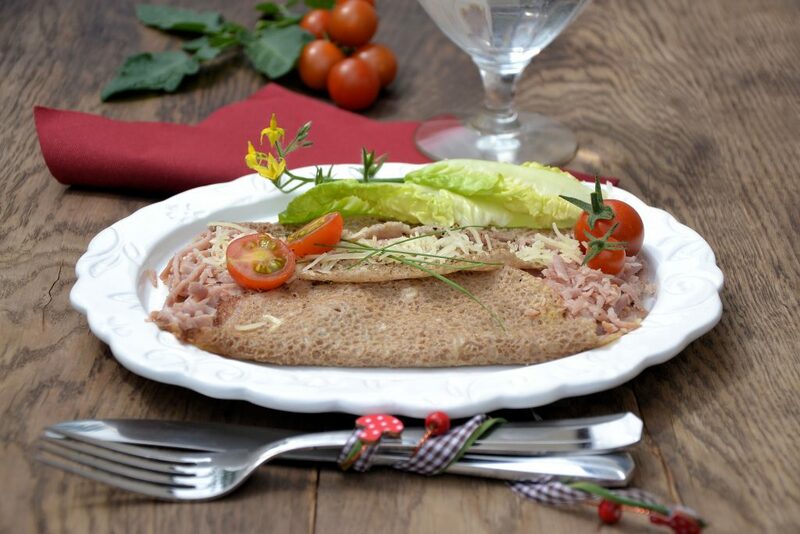 France is famous for its crepes which most people mainly think of as a sweet treat. However, Brittany has perfected the savoury pancake, otherwise known as a galette, which we love filled with cheese and ham. Breton butter is pretty famous in the culinary world which is a key ingredient in one of Breton’s most famous cakes – the delicious Kouign-Aman, a caramelized pastry filled with butter. But of course, this seaside region is most famous for its fresh seafood. Renowned for producing the finest oysters and mussels, if you’re a fan of the fruits of the sea you will be in food heaven. Brittany is a popular destination for a driving camping holiday as there’s so much within the region to explore. There are a variety of ports within driving distance of our campsites. Be sure to keep in mind the French motoring laws if you’re planning on driving on your holiday, you can find out more information about these here.